Everyone knows that wearing an SPF is essential for healthy skin and protecting it from harmful UV rays. 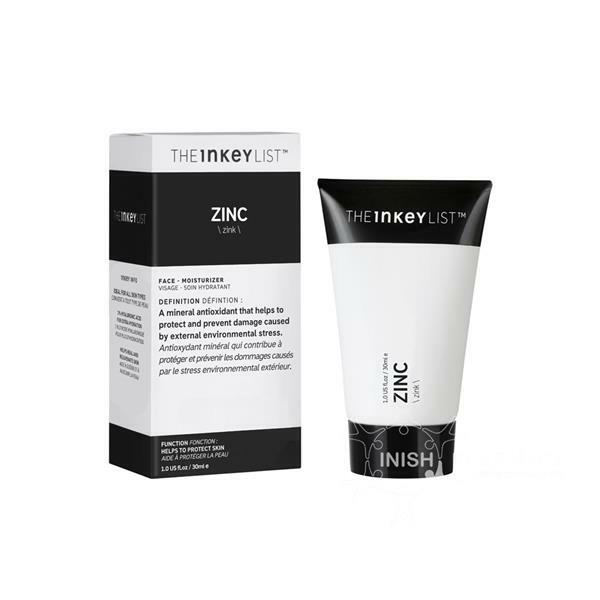 The Inkey List Zinc Oxide is a moisturiser with SPF50 that acts as a physical barrier on the top layer of the skin deflecting UVA and UVB rays which accellerate the signs of ageing. The light-weight, fast absorbing formula doesn’t leave any white residue or doesn’t block pores. Also contains 1% hyaluronic acid so skin stays hydrating too. Zinc Oxide is also a powerful antioxidant that acts to protect skin from free radicals caused by environmental stressors and with the addition of hyaluronic acid your skin stays hydrated too. Use in the AM on cleansed skin as the last step over other skincare products. Apply liberally and ensure that product has been absorbed into the skin.